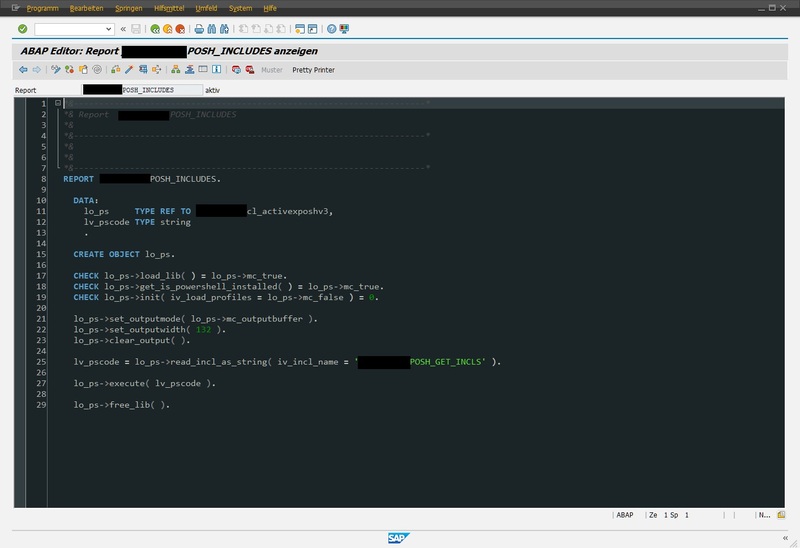 For our SAP testautomation application, which is developed in ABAP based on eCATT, we needed a tiny add-on to combine different include SAP development objects in a single file. That’s how I came up with the idea to develop an UI with Microsoft Forms to use it for this kind of requirement. I want to have a modern UI and a handy UI development environment. To realize this I use my approach with the combination of ABAP and PowerShell, which I described here. So I started to design an UI with Sapiens PowerShell Studio. The design (I know it is not nice) is done very rapidly. Four buttons, three fields, two list boxes and an editor. 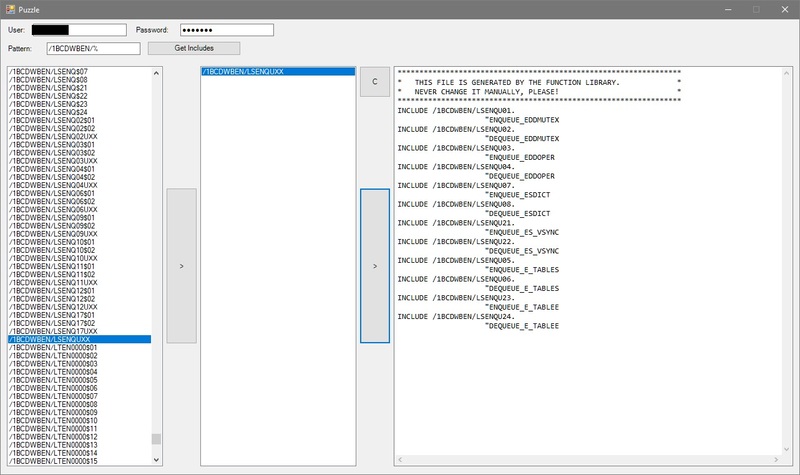 The PowerShell Studio generates the whole source and it is possible to export that as one single PowerShell file. 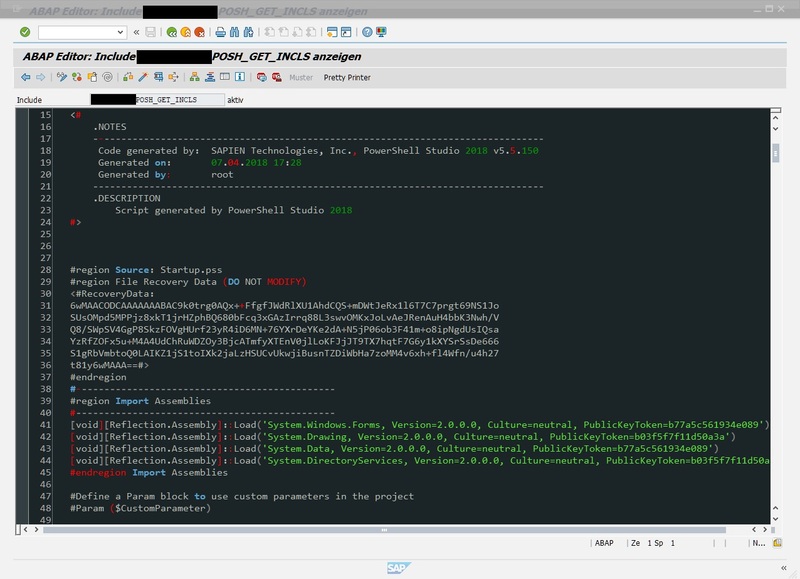 This single PowerShell file is stored as include development object in the SAP system. But before it is necessary to define a web interfaces, TAC SICF with a handler class, for the communication between the PowerShell application and the SAP backend system. CHECK iv_inclpattern IS NOT INITIAL. subc = 'I' AND appl = SPACE. The call of this PowerShell script is a very easy and clear report. After the execution of the report the PowerShell script starts and the dialog opens to pick the includes and to build one file. 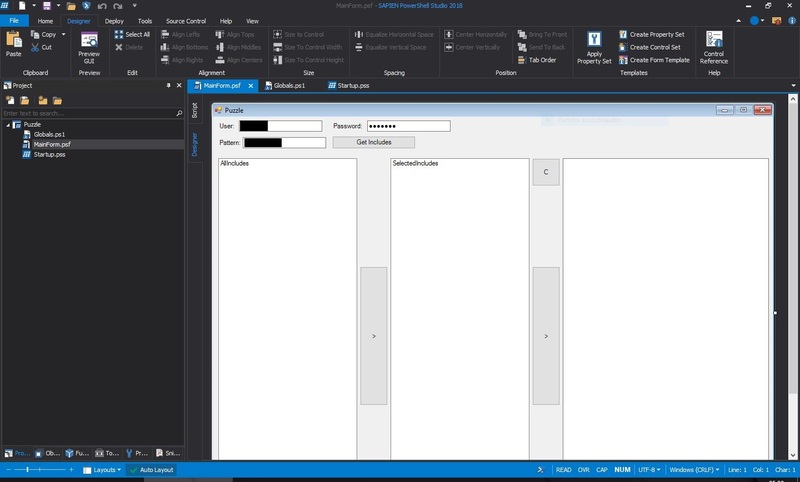 It is very easy possible to combine the rapid and modern UI development of PowerShell Studio via my approach with ACTIVEXPOSHV3 with SAP ABAP and the SAP web interface. And if you’re a gifted UI designer, not a dilettante like me, you can also create beautiful UIs. In the focus of my interest was on the one hand the basically possibility and on the other hand to create an ease of work.